Jennifer Basannavar is Programme Director of London Blue Badge Guide Training and Mandarin Training, a highly qualified Blue Badge guide who harbours tremendous enthusiasm for teaching, guiding and public speaking. Jennifer Basannavar loves travelling, and has travelled extensively in the USA, Europe, and India. As an expert private guide, Jennifer ‘s goal is to give her clients a memorable, informative, and enchanting experience as they walk along the streets of the dynamic city of London. She has an extensive broad ranging speeches that can be very technical to highly entertaining! For over 20 years Jennifer has combined a career in teaching and guiding and has travelled extensively in the USA, Europe and India. Jennifer is currently Programme Director London Blue Badge Guide Training 2009 to date and Programme Director London Blue Badge Guide Mandarin Training 2013 to date. The former Chair of the Qualifications Board for the Institute of Tourist Guiding 2008-2014 and former Programme Co-ordinator for the Institute of Tourist Guiding 2003 –2008. Jennifer has extensive guiding experience for over 25 years in both English and German. She is a specialist tour manager for orchestras and choirs to Central and Eastern Europe. In addition, Jennifer is a bilingual, and she can speak English and German fluently, this has led her to be the Head of Modern Languages and Senior Sixth Form Tutor in in the independent school sector for 30 years. In 2003 she received the award of ‘German Teacher of the Year’ from the German Embassy. Jennifer also works for the Institute of Tourist Guiding as Examinations Administrator and continues to enjoy both guiding both in this country and overseas. Jennifer’s aim is to provide you with a memorable, entertaining and informative experience whether for an individual, large or small group, students, schools, seniors or corporate visitors. Jennifer is an inspiring speaker with extensive travel and guiding experience. 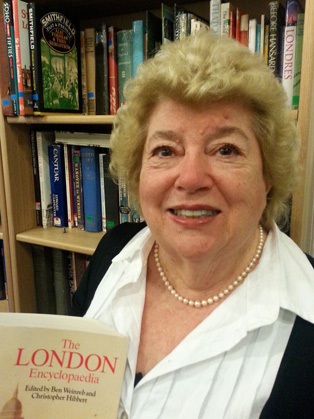 She has a wealth of talks at her fingertips examples include The Great British Season, London, Tales of a Tour Guide, The Logistics of a Touring Orchestra, Culture and Great Sights of USA, Europe and India.